ENSENADA, MexicoRelishing in the euphoria of yet another record-setting performance, the team of Robby Bell/Kendall Norman/Johnny Campbell along with the team of Roger Norman and Larry Roeseler enjoyed the well-earned fruits of their laborious journey by capturing the overall 2-wheel and 4-wheel victories late Friday in the 41st Annual Tecate SCORE Baja 1000 desert race. Beating a deep and talented field of 347 starters that came from 29 U.S. States and 34 countries, the Bell/Norman/Campbell trio won Class 22 on the No. 1x Johnny Campbell Racing Honda CRF450X motorcycle while Norman/Roeseler powered their way to the top of the marquee SCORE Trophy-Truck division in the No. 8 Norman Motorsports Ford F-150. 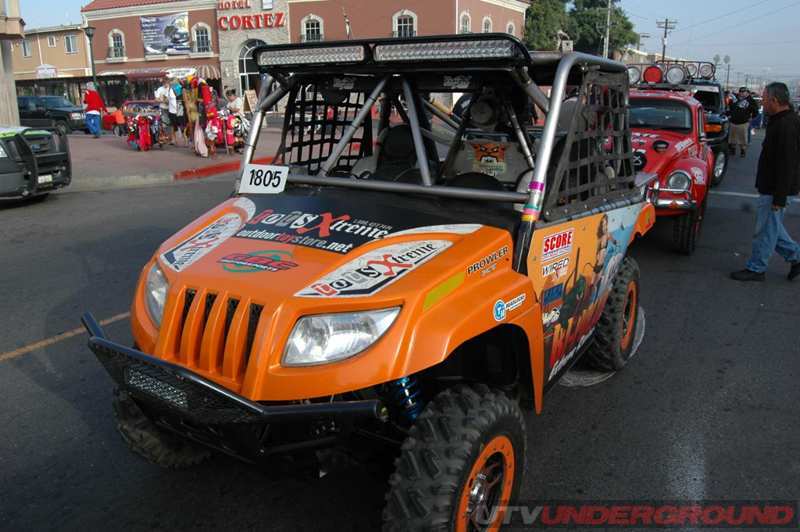 The worlds best known and most prestigious desert race started for the 34th time and finished for the 19th time in Ensenada, 65 miles south of the U.S border at San Diego. 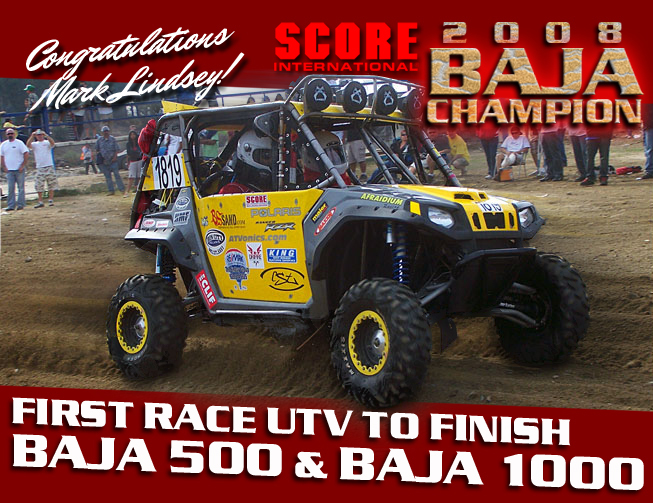 As the final checkered flag dropped Saturday evening for the last of 227 official finishers in the 41st annual Tecate SCORE Baja 1000, it was obvious that another incredible and colorful chapter had been added to the legacy of this popular desert race in the magnificent Baja California, Mexico, peninsula. The 347 starters are the most ever in race history for a loop race and the third most of any race in the 41-year history of the event. The 227 finishers are also the third-most in event history. The finishing percentage this year was an impressive 65.4 percent. With Bell, Sun City, Calif., starting the race and riding a second time as well and Norman, Santa Barbara, Calif. and Campbell, San Clemente, Calif., each riding on leg, the talented trio helped Honda to increase its record overall victory total in this race to 19 total, covering the tight, technical and rugged northern Baja California race course in 12 hours, 29 minutes, 10 seconds, averaging 50.56 miles per hour. 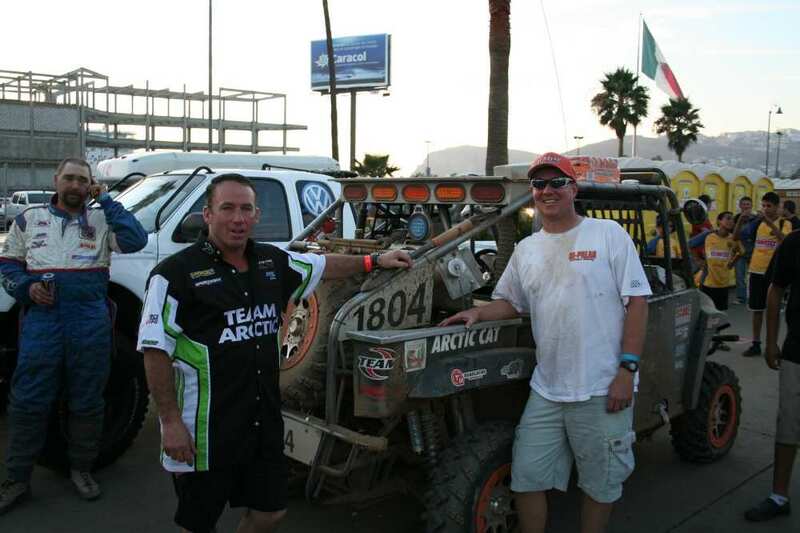 Roeseler, Irvine, Calif., drove the first 400 miles and Norman, Reno, Nev., the final 231.35 as the daring duo mastered the Mexicos magnificently mysterious northern part of the Baja peninsula to finish in a jubilant time of 12:40:33 at an average speed of 49.81mph in the No. 8 Norman Motorsports Ford F-150. For Campbell his victory earned him a race-record 11 overall motorcycle wins, breaking the tie he had with Larry Roeseler at 10-10. Roeselers overall win gave him a race-record 13 overall race wins, including three in the 4-wheel division to go along with his 10 on a motorcycle. It was also Roeselers 17 career class win in this race. It was Kendall Normans third overall race win, Bells second and Roger Normans first overall in this race. It was also the second straight win of the year for Roeseler/Norman, who first won the SCORE Terribles Primm 300 in September. Roeseler now has three career SCORE Trophy-Truck race wins while Norman has earned two. It was also Roeselers fifth straight class win in this race, having won the last for years driving with Troy Herbst in Class 1. 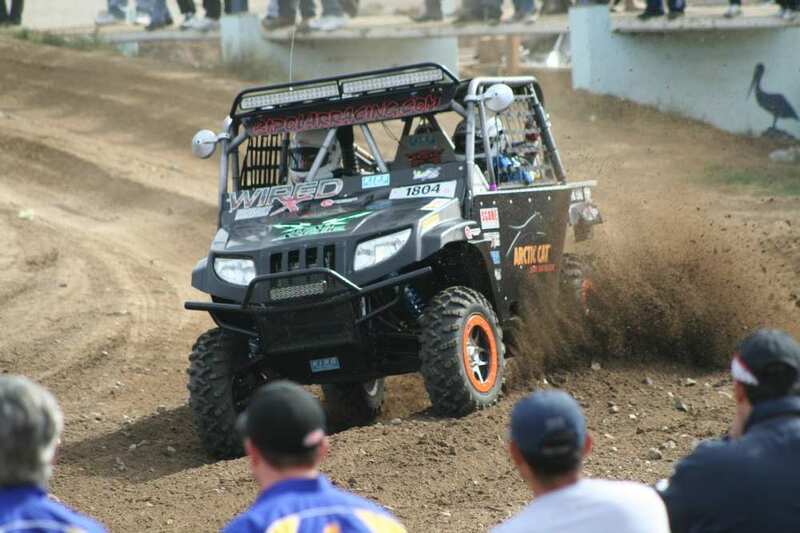 Winning the overall ATV and Class 25 victory was the team of Wayne Matlock, El Cajon, Calif./Harold Goodman, Brownstown, Mich./Marc Spaeth, Ramona, Calif./West Miller, Fallbrook, Calif., with a championship time of 14:47:25, averaging 42.69mph in a Honda TRX700XX. 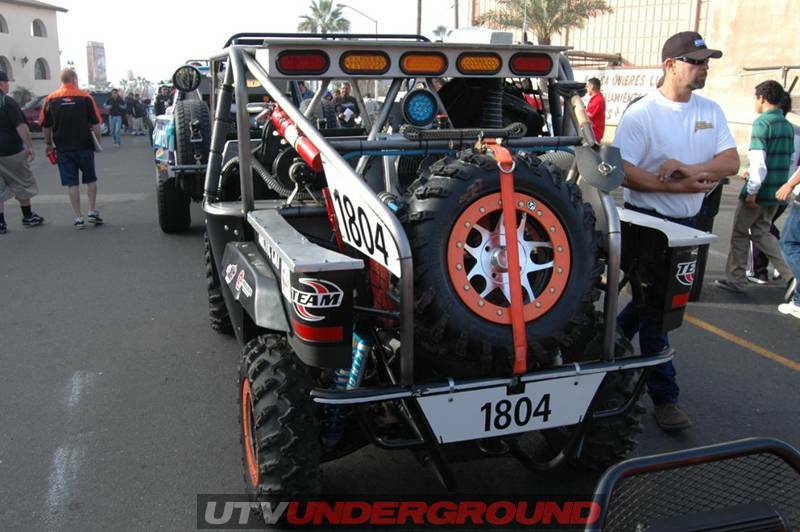 The talented team swept all three SCORE Baja races this season to earn the season point title in their class. Starting his 71st birthday Saturday, venerable veteran desert racer Rod Hall lit the candles on his celebration during the final hours of the legendary race by finishing second in Stock Mini in a Hummer H3. 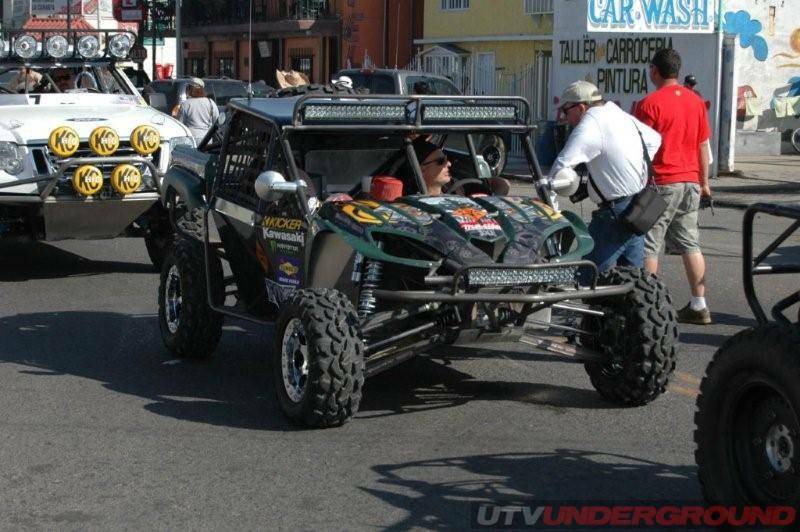 With a race-record 19 class wins in this race, Hall, who is scheduled to reduce his racing schedule to include only the SCORE Baja 1000 next year, is the only person in the storied history of this event who has raced in all 41 events since it began in 1967. Halls son Chad was a class winner, coming in shortly before his famous father to win the Stock Full class in a Hummer H3 Alpha, earning his seventh career class win in the race. Between them, Rod and his sons Josh and Chad Hall are the all-time winningest family in the history of the race, now with 30 career class wins. 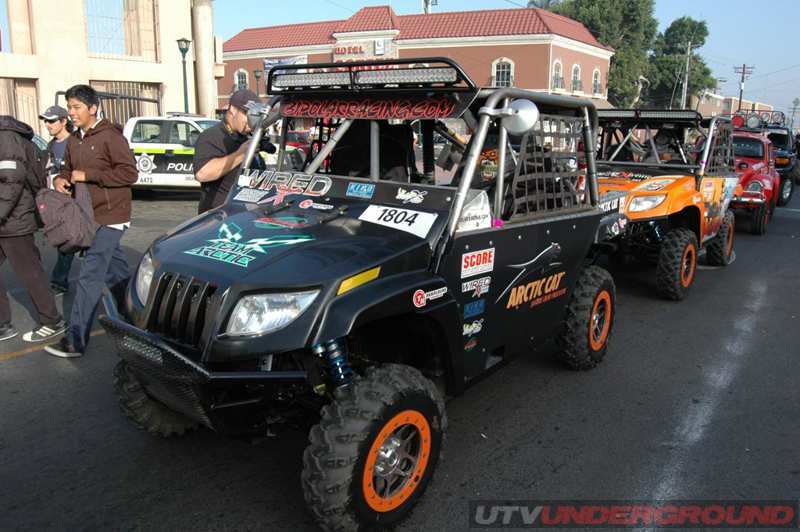 Josh finished third in Stock Full in the third Rod Hall Racing Hummer competing in the event. A field of 26 SCORE Trophy-Trucks, the high-tech, 800 horsepower unlimited production trucks, dominated the overall 4-wheel results, claiming seven of the top 10 finishing spots, including the first six. Finishing second was Las Vegas B.J. Baldwin, who finished in 12:45:26 in the No. 97 Baldwin Motorsports Chevy Silverado, just over four minutes behind the winning Norman/Roeseler. 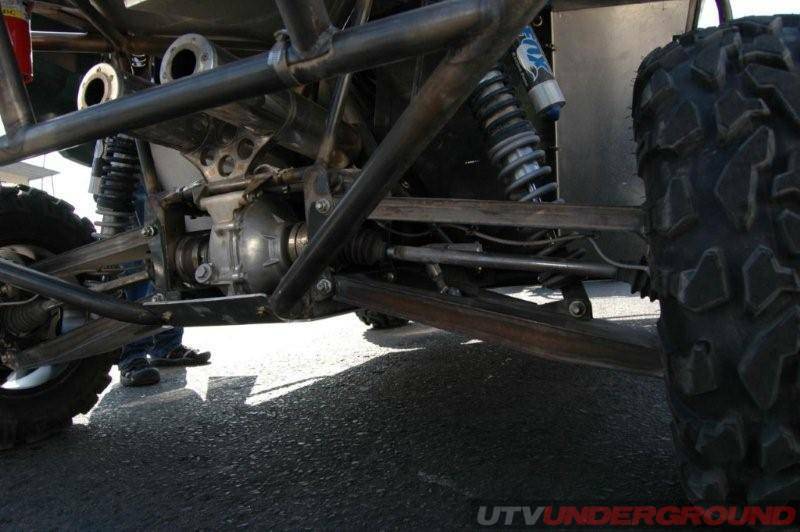 The finish earned Baldwin his second SCORE Trophy-Truck season point championship in the last three years. Third overall was Chad Ragland and his father Larry Ragland, who finished in 13:26:19 in the No. 33 TForce Motorsports Toyota Tundra while fourth was last years race and season point champions Mark Post, Laguna Beach, Calif./Rob MacCachren, Las Vegas, with a time of 13:31:11 in the No. 1 Riviera Racing Ford F-150. TForce Motorsports team owner Dan Friedkin, Houston, and his prominent teammates Danny Sullivan, Carmel, Calif., and Steve Hengeveld, Oak Hills, Calif., finished fifth overall in the No. 34 twin Toyota Tundra in 14:34:55. Sullivan won the 1985 Indy 500 and Hengeveld is in his first season in a truck after winning 10 class titles and seven overall motorcycle crowns in this race. The two-truck effort placed two trucks in the top five for the first time. 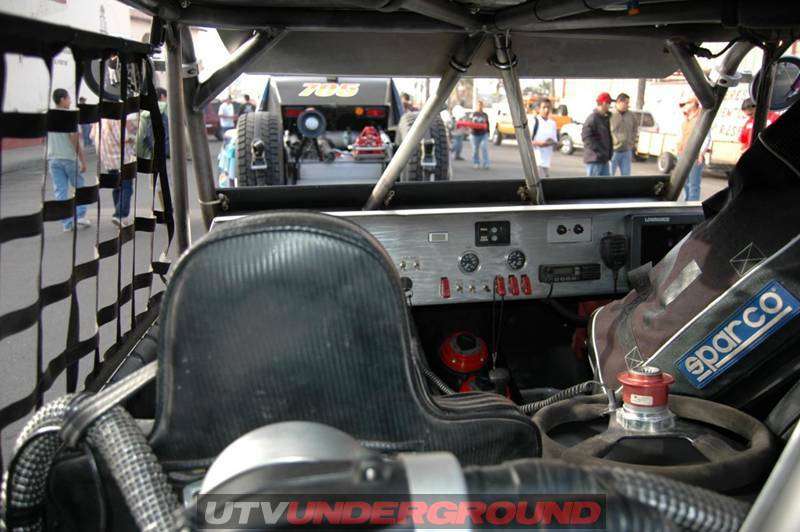 Justin Lofton, a second generation desert racer making his SCORE Trophy-Truck racing debut, raced with his father Bob Lofton, Westmorland, Calif., earning a sixth-place finish in the No. 20 Lofton Motorsports Chevy Silverado in 14:51:08. Lofton is pursuing a pavement-racing career and was a regular on the ARCA/Remax stock car series this year. Winning a race-high field of 28 starters in the unlimited Class 1 for the first time, Chuck Dempsey, Oak Hills, Calif./John Herder, Tucson, Ariz., finished seventh overall in a Chevy-powered Jefferies open-wheel desert race car in 14:59:57 while second in Class 1 and eighth overall was the team of Harley Letner/Kory Halopoff, Orange, Calif., in a Alpha Performance-Chevy with a time of 15:16:53. Third in Class 1 and ninth overall was the veteran team of Ron Brant, Oak Hills, Calif./Richard Boyle, Ridgecrest, Calif./Tom Kirkmeyer, Apple Valley, Calif., driving a Jimco-Chevy to a finish time of 15:28:15. Completing the top 10 and finishing seventh in SCORE Trophy-Truck was Robbie Pierce/Mike Julson, Santee, Calif., finishing in a time of 15:30:45 in the No. 35 MasterCraft Chevy Silverado. 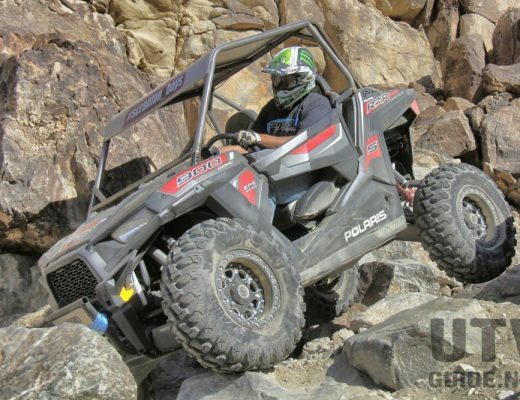 In the manufacturers battle of beat the Baja research and development, a Ford-powered vehicle won for the 13th time, and BFGoodrich Tires won for the 22nd time in the last 23 years. Mexicos Arnoldo Ramirez/Misael Arambula/Daniel Lopez defeated a field of 17 starters to win Class 1-2/1600 for the second straight year in a Curry-VW. 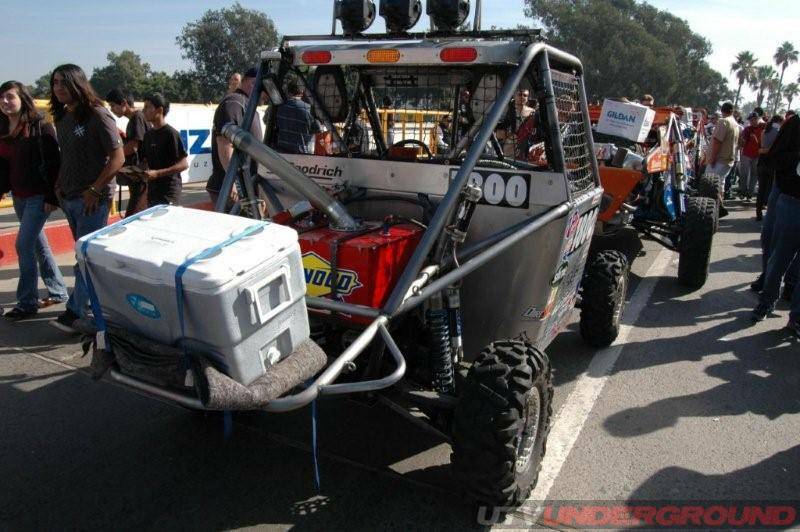 They also finished a solid 16th overall among 4-wheel vehicles and as the highest finishing VW-powered vehicle in the race, earned the $5,000 Contingency bonus from Volkswagen of America for being the highest finishing VW-powered vehicle in the race. 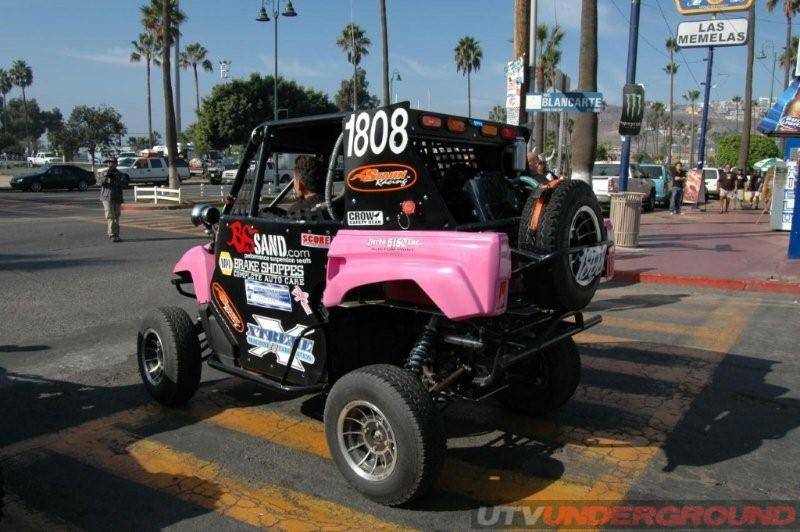 In possibly the biggest surprise class win of the race, Darren Skilton, Long Beach, Calif., won Class 3 in a Jeep Wrangler by defeating the Ford Bronco of Northern Californias prolific Moss Brothers, Donald and Kenneth who had dominated Class 3, winning six straight in this race and a class record 29 straight SCORE race wins before Saturday. It was Skiltons fifth class win in the race and first since 2000. Gavin Skilton, Darrens brother, gave the Skilton family another class win in the race by winning Stock Mini, marking the first time a Honda Ridgeline has won this race. 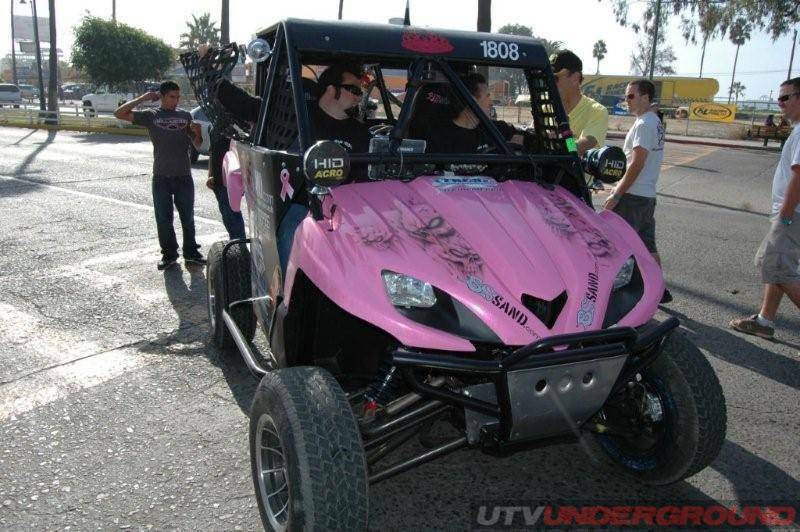 Running against a formidable field of 17 starters in Class 5/1600, Mexicos Marcos Nunez/Norberto Rivera, drove their VW Baja Bug to victory in Class 5/1600. 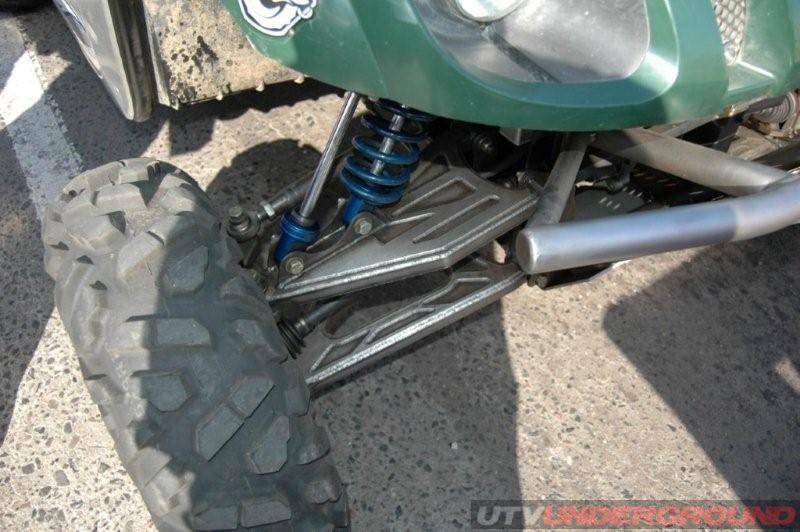 It was their third Class win of the season. A field of 13 SCORE Lite vehicles, all with VW engines, was won for the first time in this race by Rick St. John, Encinitas, Calif./Dean Bayerle, Poway, Calif./Ramsay El Wardani, San Diego in a Duvel-VW. In Class 7SX, John Holmes, Olivenhain, Calif./Mark Landersman, Temecula, Calif., won for the third time this season as well as his fourth class win in this race. 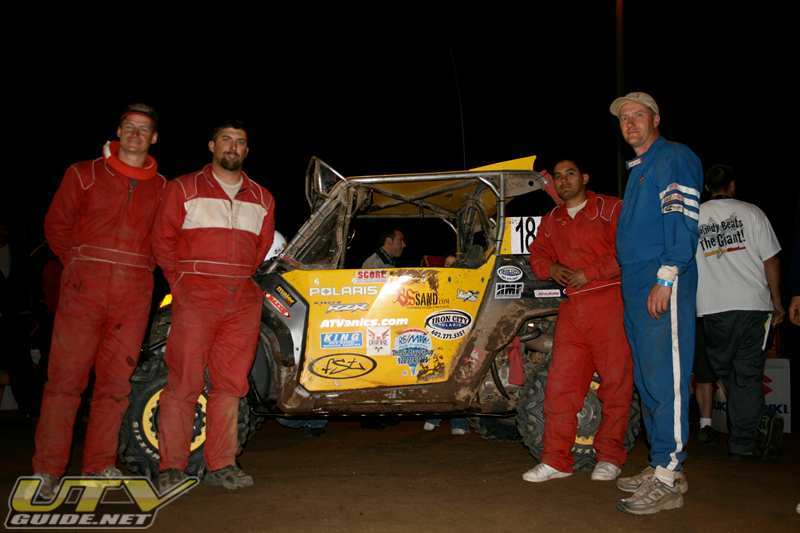 Mexicos Ramon and Tomas Fernandez won Class 11 for the fourth time in five races this year. In another class win by a Mexican driver, Juan Lopez split driving with Beny Canela, Indio, Calif. in a Ford F-150 to beat a field of nine starters. 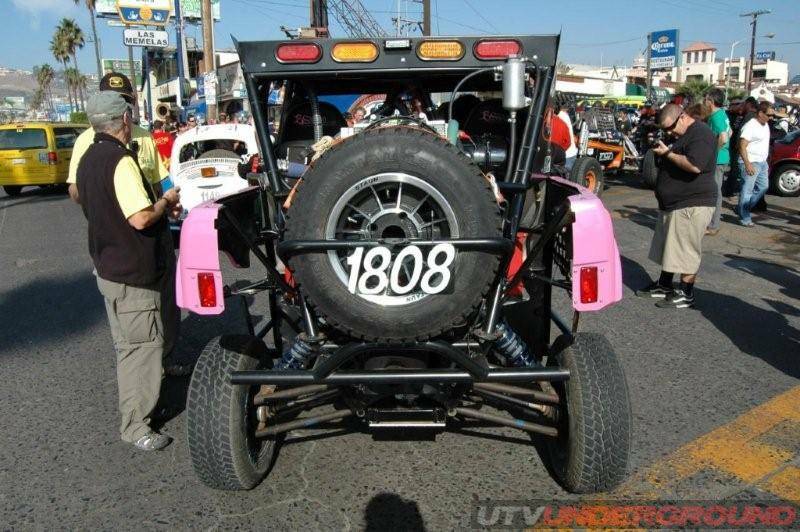 Mexicos Lobasm Yee, Tijuana, Mexico won Class 10 for the second time in a Jimco-Chevy, while the family team of Cisco Bio and Pancho Bio won Class 9 in a Tubular Design-VW. Several age group motorcycle stars increased their class win totals this year. In Class 50 (racers 50 years and older), riders Jim ONeal, Simi Valley, Calif., and his teammates Doug Heil, Monrovia, Calif./Mike Sixbery, Bullhead City, Ariz./andy Kirker, Santa Ana, Calif./Paul Needles, Westlake Village, Calif./Robert Hansen, Carson City, Nev., won on a Honda CRF450X. For ONeal, the class victory was his eighth career class win in the race, including his seventh in the last four years. Veteran motorcycle racer Scott Myers became the rider of record, switched teammates and won Class 30 for the third time in four years. Riding a Kawasaki KLX450, Myers co-riders this year were Shane Esposity, Rancho Santa Margarita, Calif. and Francisco Septien, Ensenada. In Class 40, Brett Helm, Poway, led a talented team to victory for the second straight year on a Honda CRF450X. Besides Helm, also riding were Jeff Kaplan, Thousand Oaks, Calif., Craig Adams, San Clemente, Calif., Lou Franco, Sherman Oaks, Calif., Jon Ortner, Santa Barbara, Calif. and Bob Johnson, San Diego. Adams has now been part of 12 motorcycle class wins in this event. In the super veterans Class 60 (riders over 60 years old), Donald Lewis, Marlborough, Conn., led a grizzled team to victory for the second-time in the three-year history of the class on a Honda CRF450X. His riding partners this year were Sam Dempsey, Lake Balboa, Calif./Bob Gates, Hesperia, Calif./Mike Harper, Landers, Calif./Charles Koistra, Menifee, Calif./Will rogers, Escondido, Calif./Dan Doerksen, Oak Hills, Calif.
Other Pro class winners included Marc Burnett, Chula Vista, Calif., (Class 6, Ford Ranger), Guillermo Galvan, Bahia de Los Angeles, Mexico (Class 7, Ford Ranger), Mike Shaffer, Dayton, Nev. (Class 17, Jeep Cherokee), Jason Voss, Cupertino, Calif. (ProTruck, Ford F-150) Chad Black, Laguna Hills, Calif. (Class 20, Honda CRF250X) and Francisco Arredondo, Guatemala (Class 21, Honda XR250R). Shaffer and Arredondo both won their classes for the second-straight year. 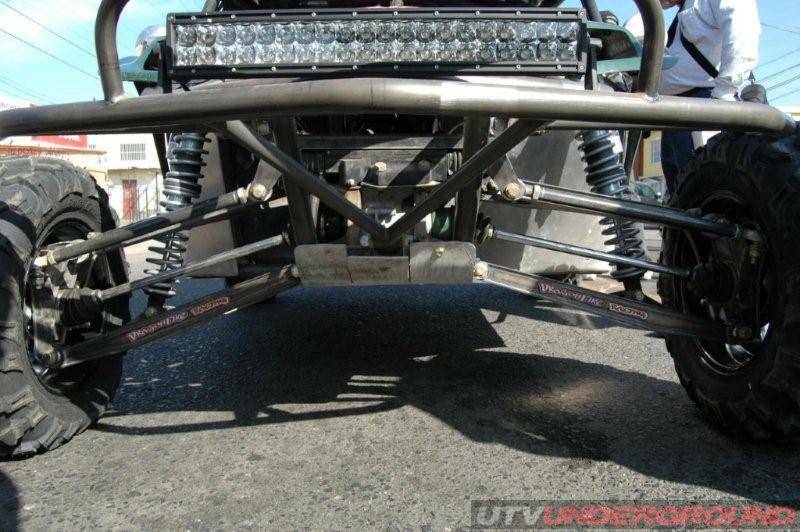 The special Baja Challenge class for identically-equipped Subaru-powered Baja touring cars that helps introduce crossover racers and celebrities to SCORE desert racing saw all 13 starters finish and was won for the first time by the team led by Chris Kemp, San Clemente, Calif. The unique Sal Fish SCORE IronRider Award offered to any motorcycle and ATV racer who finished the race while riding entirely solo drew 31 total riders and 18 of them made it to the finish line within the 31-hour time limit. The fastest Sportsman 4-wheel vehicle was led by driver of record Bob Land, Lake Forest, Calif., (SPT Truck, Jeep Cherokee) while the fast Sportsman motorcycle team was led by Bill Gilbert, Ladera Ranch, Calif. (SPT M/C>250cc. 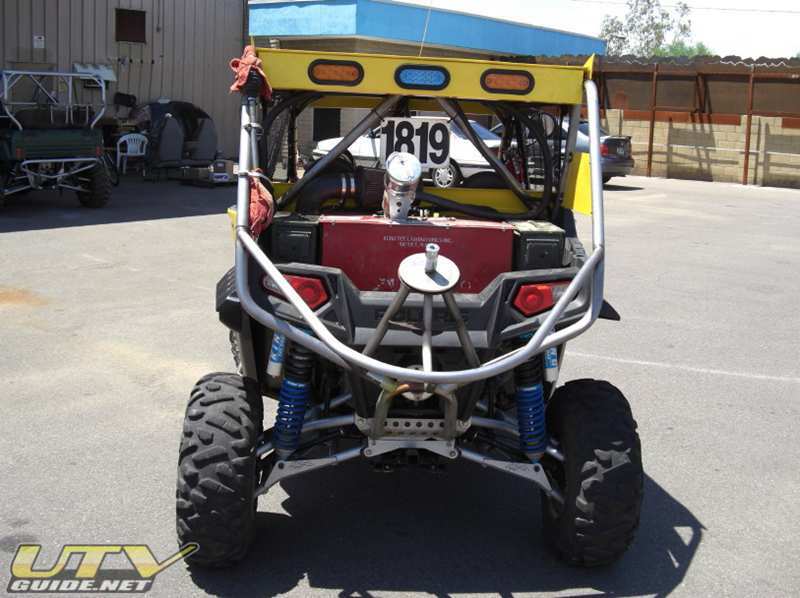 Fish, who has also pioneered innovation and research and development, pointed out that two special small-engine utility vehicles actually finished this race for the first time and that two manufacturers successfully launched two race vehicles in this years race. Volkswagen of America, the official vehicle of SCORE International, saw its new No. 81 Red Bull Volkswagen Baja Race Touareg TDI, the first clean Turbo-diesel vehicle ever raced in the SCORE Trophy-Truck division finish 13th out of 26 starters. The new vehicle is driven by veterans Mark Miller, Cave Creek, Ariz. and Ryan Arciero, Foothill Ranch, Calif.
Ford also saw its newest production truck, a special Ford F-150 SVT Raptor, finished third in Class 8 for full-sized two-wheel drive trucks. 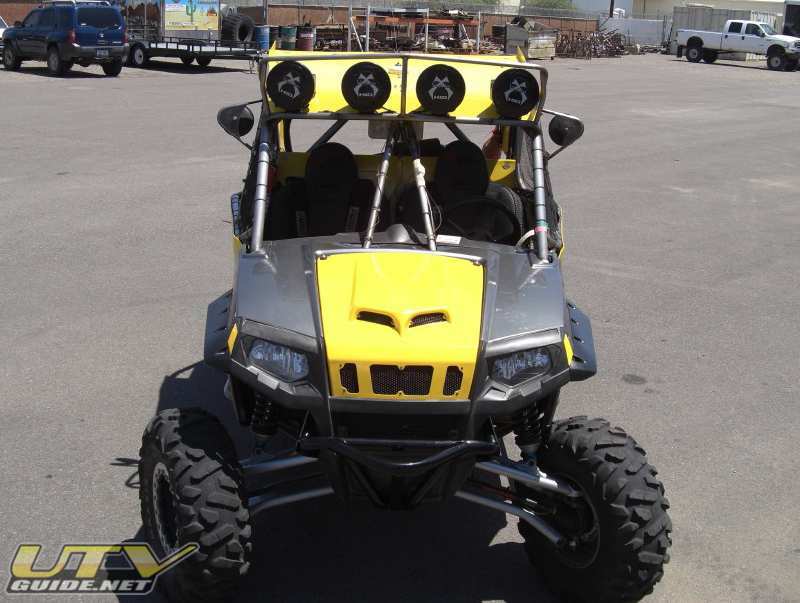 It was driven by Steve Olliges, Las Vegas, Greg Foutz, Gilbert, Ariz., and Randy Merritt, Parker, Ariz. 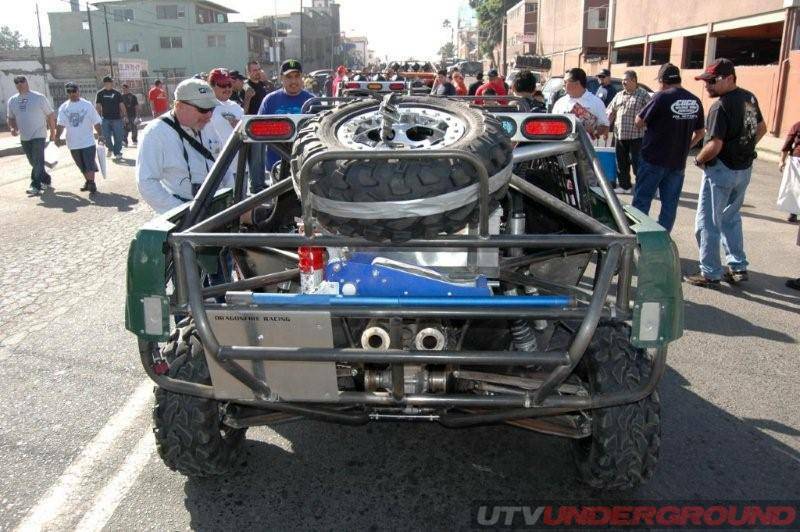 Both new vehicles will be the subject of special documentaries being developed around their participation in this years Tecate SCORE Baja 1000. 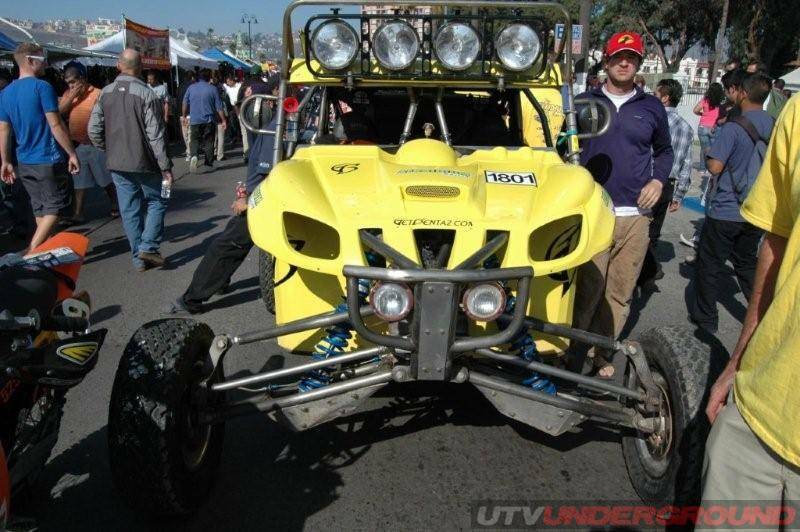 The Sportsman UTV class for 600cc, 4-2h33I Utility Vehicles had finishers for the first time ever in this race. 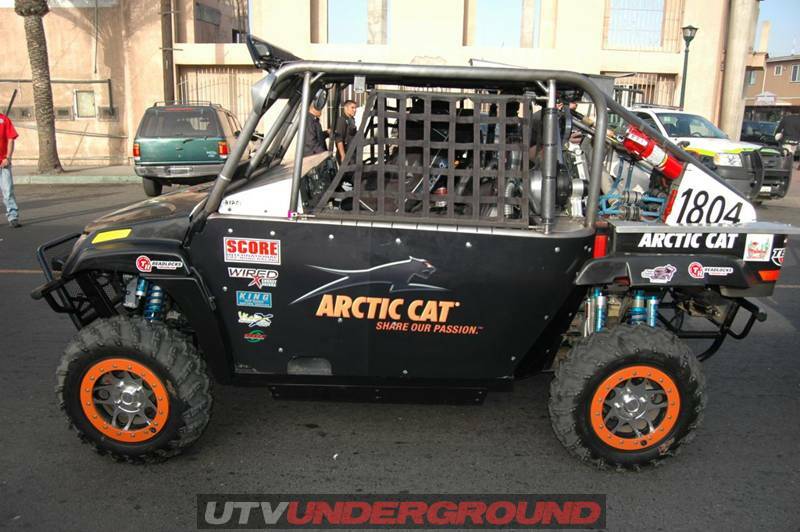 Winning was the team led by Jim Creagan, Yacott, Wash., in an Arctic Cat Prowler while the other finisher was Shane Morgan, Yacott, Wash., in another Arctic Cat Prowler. Fish saluted all of the participants and among them were the two motorcycle sidecars that ran the race, one from Switzerland and one from the United States. Fish said that the Harley-Davidson V-Rod piloted by Scott Whitney, Palos Verde Estates, Calif., and Joe Desrosiers, San Marcos, Calif., actually rode the first side car in race history to complete the entire course. Argentina, Australia, Austria, Britain, Canada, Columbia, Denmark, El Salvador, France, Germany, Guatemala, Hungary, Ireland, Israel, Italy, Japan, New Zealand, Panama, Spain, Sweden, Switzerland, Uruguay. 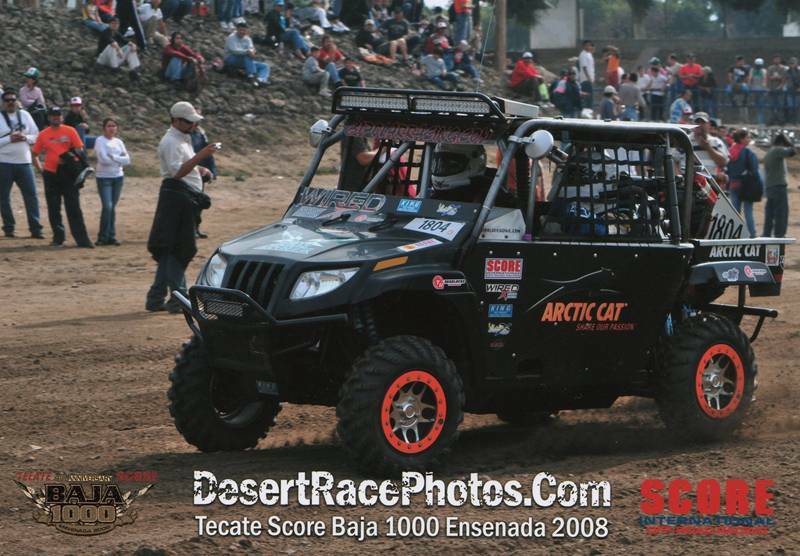 This years Tecate SCORE Baja 1000 desert race will be televised on a delayed basis as a one-hour NBC Sports special for the fifth consecutive year, airing on Sunday, Dec. 14 at 1 p.m. (EST) on the NBC Television Network. It will also air on a delayed basis outside of the U.S. on ESPN International. The 2008 SCORE Desert Series also includes the chase for the $20,000 Volkswagen of America Point Leader Bonus and the run for the Toyota Milestone Awards for car and truck racers who complete every required mile of the season. A total of 15 drivers are still eligible for the Toyota Milestone Awards. Current SCORE official annual sponsors are: BFGoodrich Tires-official tire, Volkswagen of America-official vehicle, Sunoco Race Fuels -official fuel supplier, Bilstein-official shock, Instant Mexico Auto Insurance-official Mexican auto insurance, Slime-official tire sealant and Red Bull–official energy drink. Associate sponsors are: Tecate Beer, Coca-Cola of Mexico, Las Vegas Events, Terrible Herbst Inc., Blue C Enthusiast Advertising, Kartek Off-Road, American Suzuki, SignPros, P.C.I. 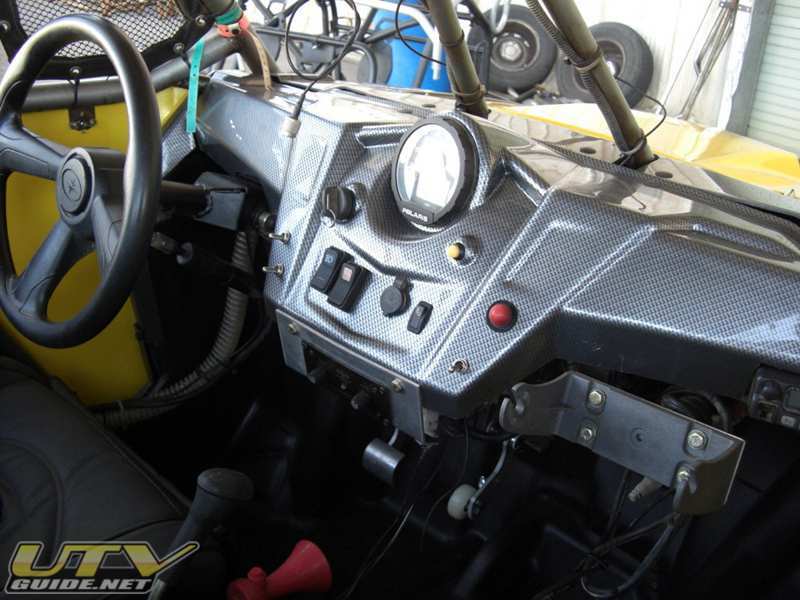 Race Radios, McKenzies Performance Products and Advanced Color Graphics. 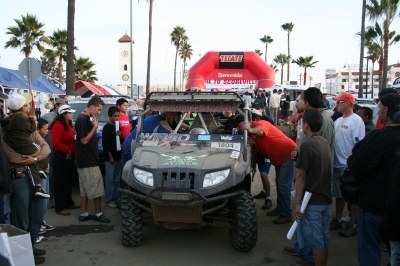 Additional associate sponsor for the 2008 Tecate SCORE Baja 1000 was the Fideicomiso Publio para la Promocion Turistica de Ensenada. For more information regarding the series, contact SCORE at its Los Angeles headquarters 818.225.8402 or visit the official website of the SCORE Desert Series atwww.score-international.com. LOS ANGELESLegends have a way of becoming even more legendary as time goes by and with over 350 entries from across the world, Novembers 41st Annual Tecate SCORE Baja 1000 promises to add even more diamonds in the brilliant crown of the world-famous Granddaddy of all desert races. From Connecticut to Florida and Alaska to Hawaii in the U.S. and from Japan to Australia and England to New Zealand, entries for the internationally-televised greatest spectacle of desert racing in the world have come from 37 U.S. States and 15 countries. 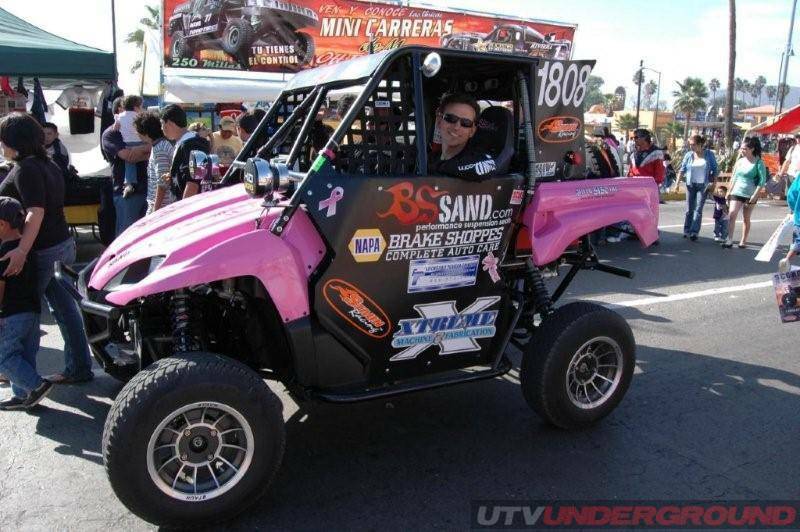 With over 350 entries expected to enter in 28 Pro and 7 Sportsman classes for cars, trucks, motorcycles and ATVs, the greatest spectacle of desert racing in the world will be held Nov. 19-23 in Ensenada, Baja California, Mexico. 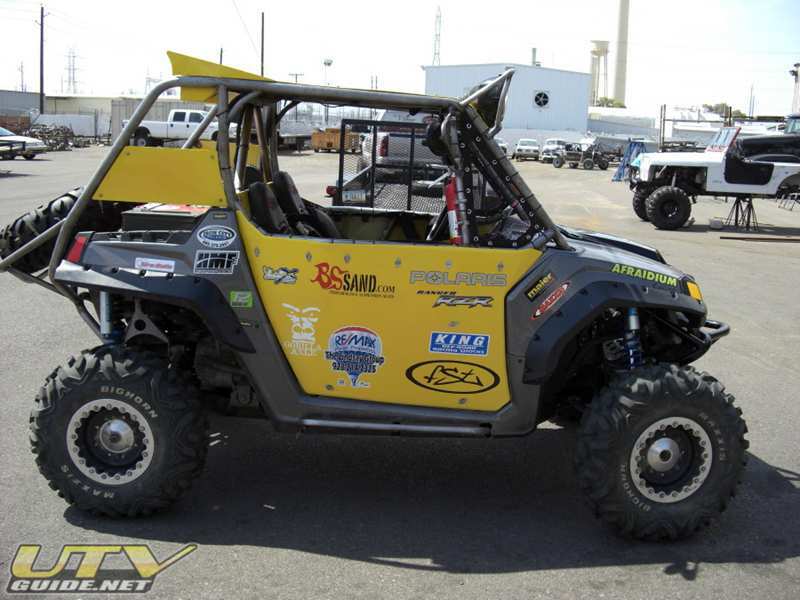 Completing its 35th year as the Worlds foremost desert racing sanctioning body, the event is the finale of the five-race 2008 SCORE Desert Series. 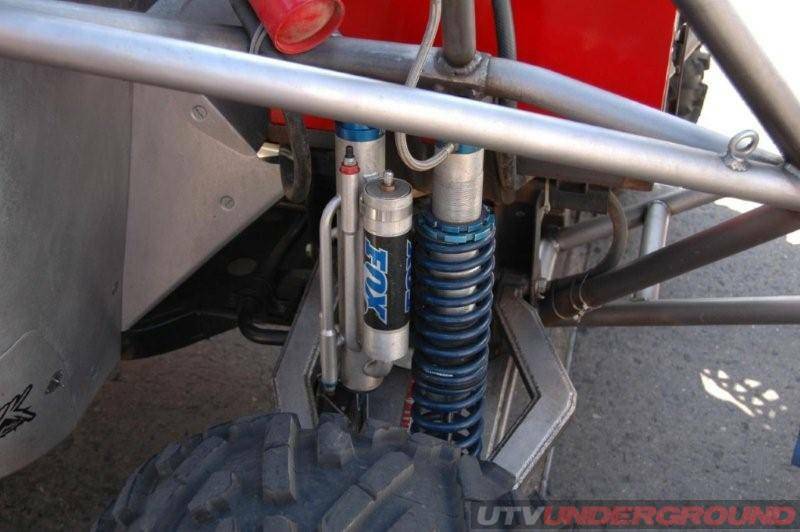 While a majority of the international entries are motorcycles and ATVs, non-US entries appear in the marquee SCORE Trophy-Truck division along with the unlimited Class 1 and most of the car and truck classes as well. 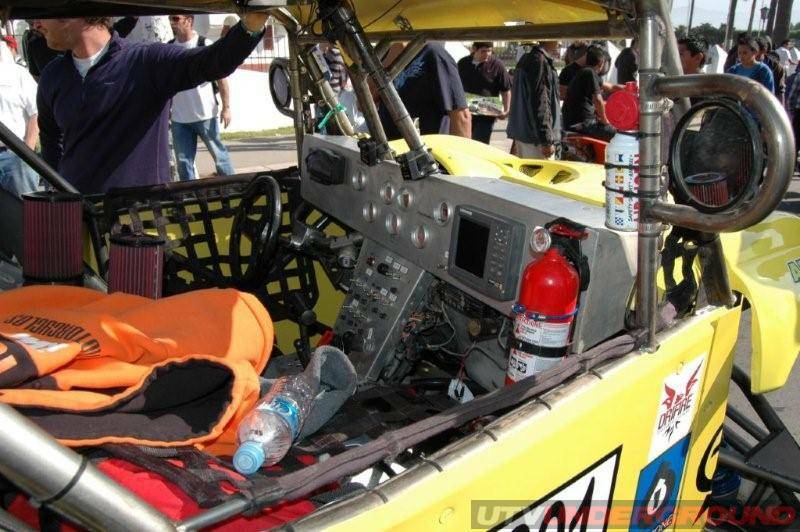 From SCORE Trophy-Truck, where there are entries from Mexico and Canada along with the U.S., there is also an international entry in the special Sportsman Sidecar motorcycle class with an international rally team with riders from Switzerland and Italy. With entries accepted up until the start of the race (Friday, Nov. 21), among the 319 vehicles entered to date are racers from five continents. In addition to the United States and host country Mexico, entries so far have come from Australia, Canada, England, France, Germany, Guatemala, Ireland, Israel, Italy, Japan, New Zealand, Spain and Switzerland. 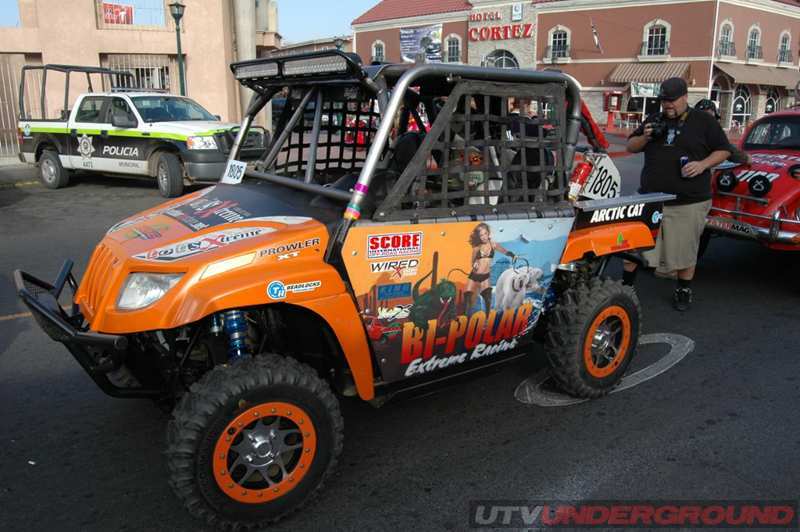 The race will start for the 34th time and finish for the 19th time in Ensenada. 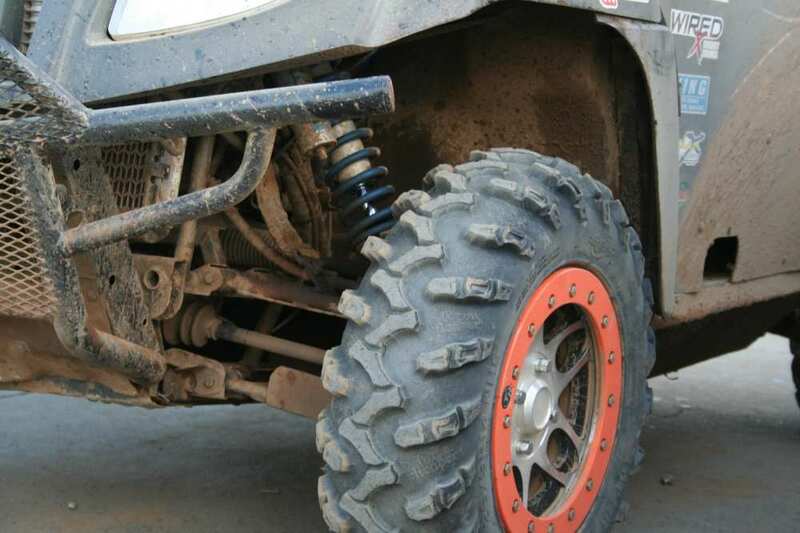 The motorcycle and ATV classes will start their journey at 6:30 a.m. (Friday, Nov. 21) with the car and truck classes starting at approximately 10:30 a.m., or three hours after the last ATV leaves the line. Vehicles will leave in 30-second intervals in the elapsed-time race and while the fastest finishers are expected to complete the course in approximately 14 hours. All vehicles will have a 31-hour time limit to become official finishers in the legendary adventure. 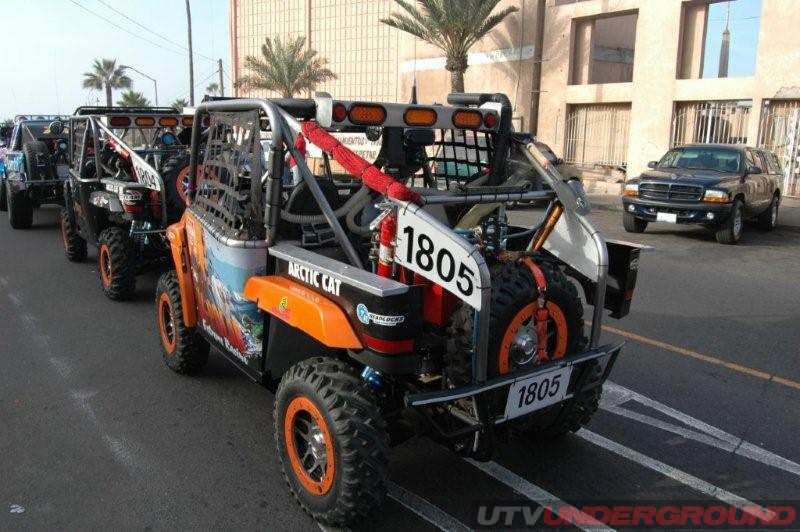 The race will start and finish on Boulevard Costero along the picturesque Bahia de Todos Santos in front of the historical Riviera del Pacifico Cultural Center in the heart of Ensenada. While the U.S. will represent well over half the field, Mexico will be second with as many as 75 drivers/riders of record. Among the top Mexican nationals racing in the event are SCORE Desert Series regulars in the car and truck classes: Gus Vildosola Jr. and Francisco Cervantes in SCORE Trophy-Truck, Luis Ramirez Jr. and Lobsam Yee in the unlimited Class 1, Ernie Negrete, Mario Reynoso, Carlos Iribe, Ernesto Arambula, Jose Montoya and Marcos Nunez in Class 5/1600, Jose Canchola Jr. (Class 7), Juan C. Lopez and Andrea Tomba (Class 8) and Eric Solorzano (Class 11). 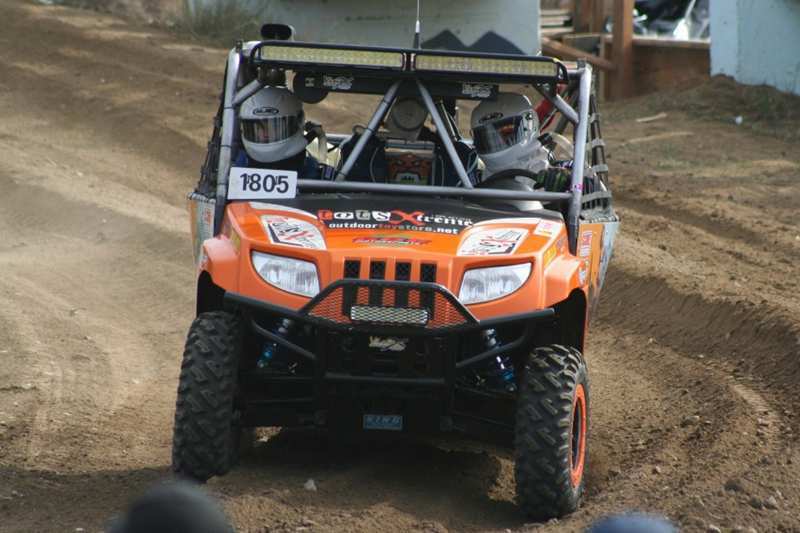 Leading the Mexican contingent entered to date in Motorcycle and ATV classes are Gabriel Williams (Class 22), Marco Bernaldez and Edy Garcia (Class 21) and Javier Robles (Class 25). 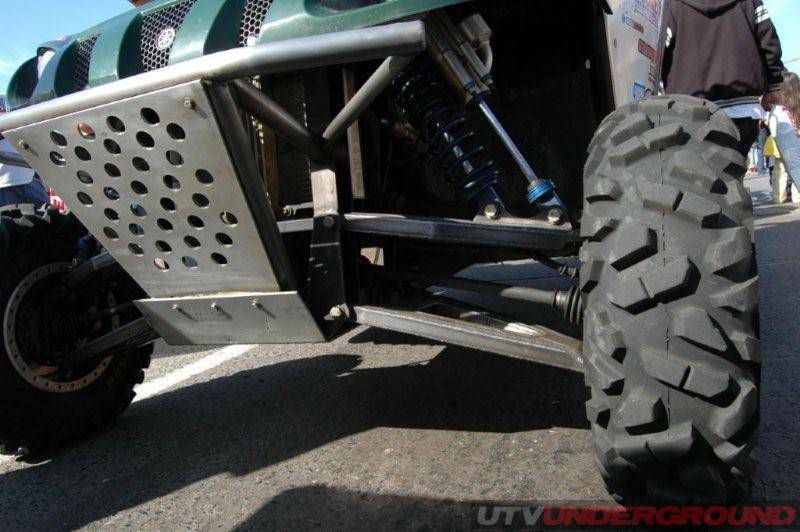 Canada is also among the countries with the most entries, including its first two entries ever in the featured SCORE Trophy-Truck division. Jeff Smith (No. 92) and Lloyd Sproule (No. 78) will both make their SCORE debut in this race. Among several entries from Australia is the Class 1 team led by Brian Robinson while Germany has two drivers in Class 1 who are SCORE regulars-Armin Schwarz and Armin Kremer. Switzerland and Italy have entered an international rally team of Sandro Lanaro and Ruedi Howald. Japan will also have several entries in sportsman motorcycle over 250cc including Tomoki Hayashi and Yuji Kikuchi. Leading several sportsman motorcycle entries from Israel will be Yoram Lavee, a prominent racer including supermoto, who has entered solo in the SPT M/C under 250cc class. 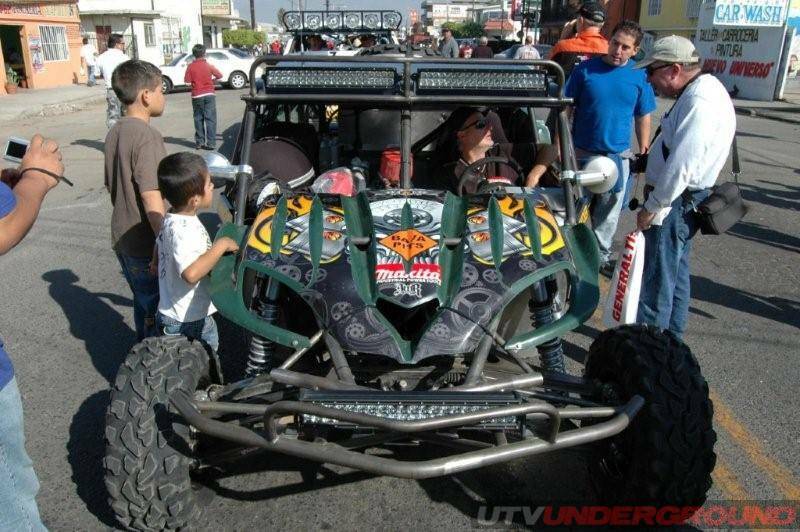 With massive crowds reaching nearly 300,000 anticipated to again be spread out along the rugged course that travels through the Pine Forest to near Mexicali, down Laguna Salada to San Felipe and back to the Pacific Coast through Santo Tomas covering much of the northern half of the majestic Baja California peninsula. 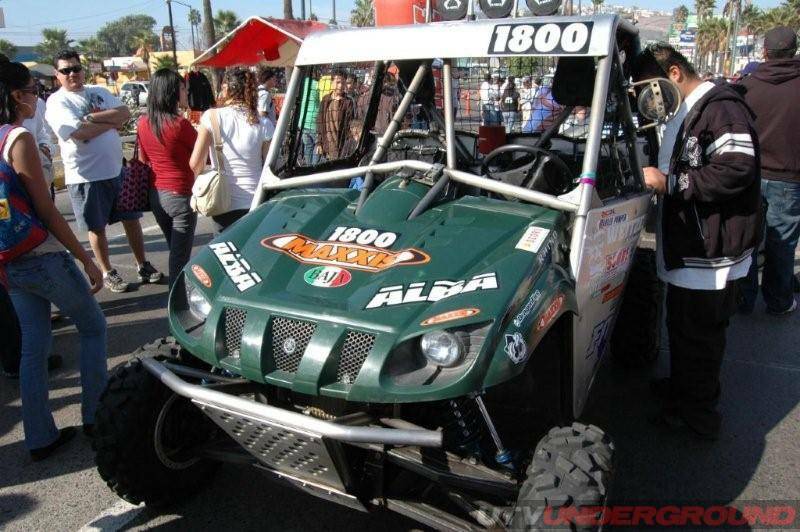 Pre-race festivities on Thursday, Nov. 20, for the Tecate SCORE Baja 1000, including the vastly popular tech and contingency of all vehicles and the SCORE Manufacturers Midway will be held from 10 a.m. to 6 p.m. on Boulevard Costero in front of the Riviera del Pacifico Cultural Center. The pre-race mandatory driver/rider briefing will be held Thursday, Nov. 20 at 7 p.m. in the Cathedral Room at the Riviera del Pacifico Cultural Center. Racer and media registration will be held at the San Nicolas Resort Hotel from 1 p.m. to 6 p.m. on Wednesday, Nov. 19 and from 9 a.m. until 5 p.m. on Thursday, Nov. 20. 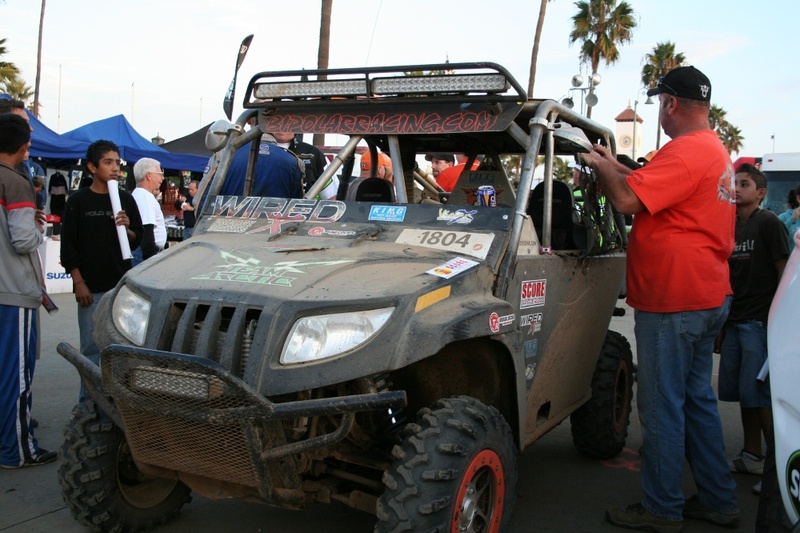 The post-race Tecate SCORE Baja 1000 Survivors Celebration will be held poolside at the San Nicolas Resort Hotel at 10 a.m. on Sunday, Nov. 23. The car and truck classes with the most entries to date are SCORE Trophy-Truck (30), Class 1 (28), Class 5/1600 (15), SCORE Lite (14 each) along Class 1-2/1600, Class 10 and Baja Challenge Class (with 13 each). 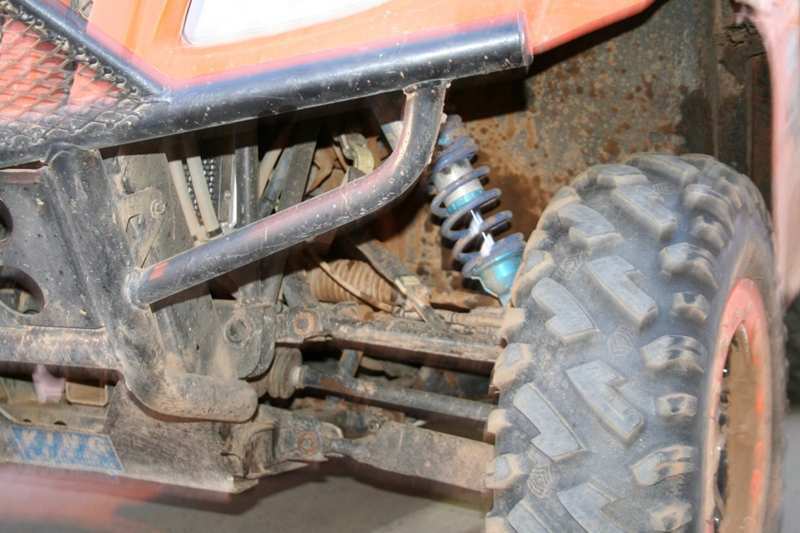 Among the motorcycle and ATV classes, Class 22 has the most entries to date with 15, followed by Class 30 with 11. Leading the seven Sportsman classes in the race to date is Sportsman Motorcycle over 250cc with 35 entries and Sportsman Motorcycle under 250cc with 15 entries. Pre-running on the 634-mile loop course will officially begin on Saturday, Nov. 1. Pre-running will be allowed only from Ojos Negros and back. One way pre-running from the start to Ojos Negros will be allowed only on Wednesday and Thursday of race week (Nov. 19 and 20). Its the oldest and most well known of all desert races, and it remains as the single most appealing accomplishment to a driver. 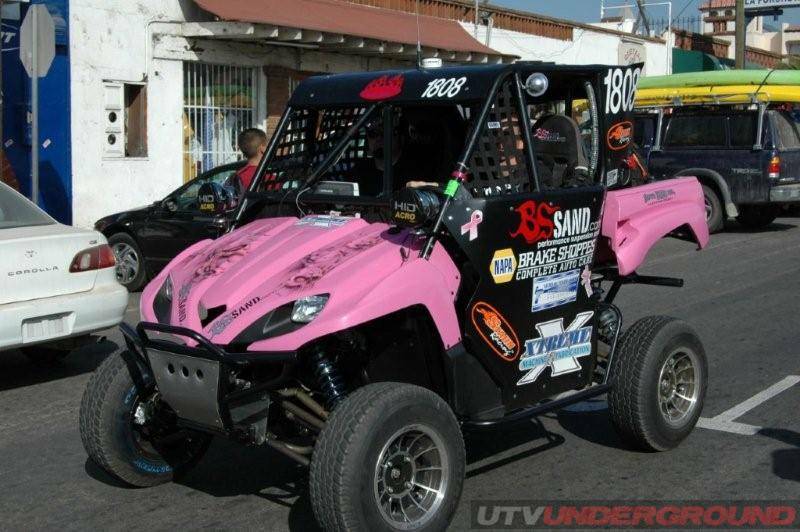 Since 1967, the Granddaddy of all desert races has been run over the mysterious Baja California peninsula. 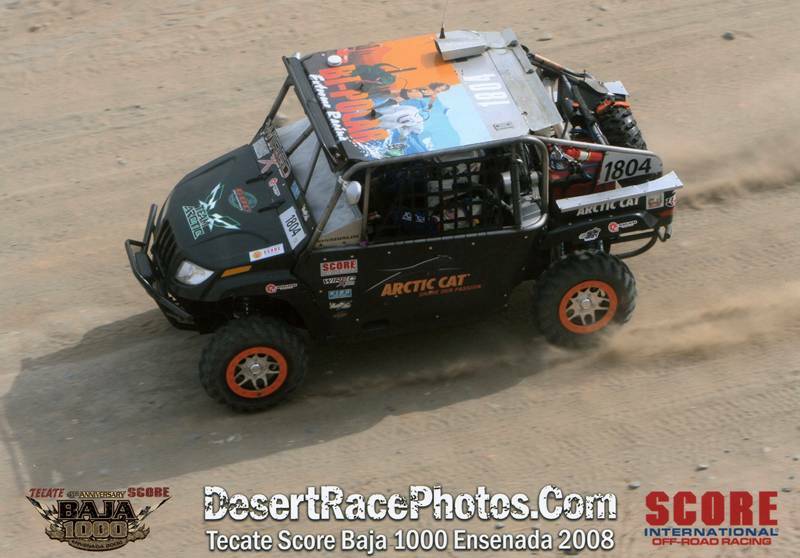 This years Tecate SCORE Baja 1000 desert race will be televised on a delayed basis as a one-hour NBC Sports special for the fifth consecutive year, scheduled to air at 1 p.m. (EST) on Sunday, Dec. 14 on the NBC Television Network. It will also air on a delayed basis outside of the U.S. on ESPN International. The 2008 SCORE Desert Series also includes the chase for the $20,000 Volkswagen of America Point Leader Bonus and the run for the Toyota Milestone Awards for car and truck racers who complete every required mile of the season. 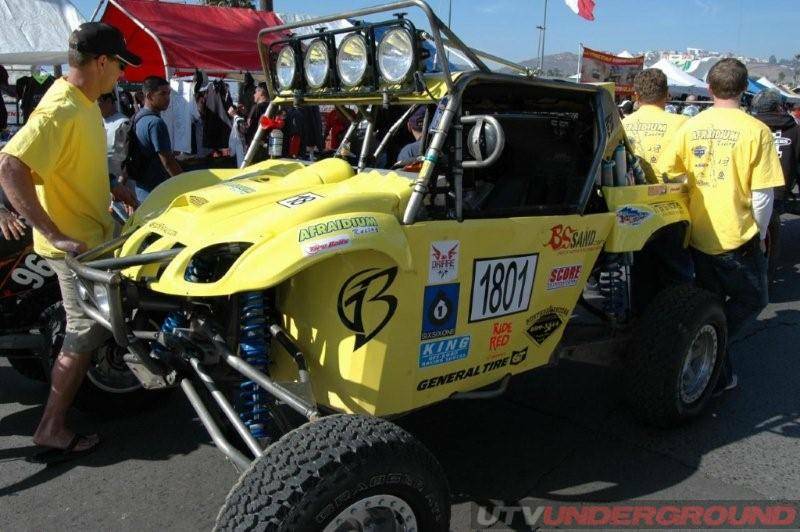 The Tecate SCORE Baja 1000 also features the $5,000 Volkswagen bonus to the highest finishing Volkwagen-powered vehicle in the race. Among the other special awards at the event will be the Sal Fish SCORE IronRider award presented to all declared motorcycle and ATV riders who are official finishers of the race while riding solo. To date, 16 total motorcycle (14) and ATV (2) riders have declared their attempt to run the race solo to try and earn a Sal Fish SCORE IronRider award. 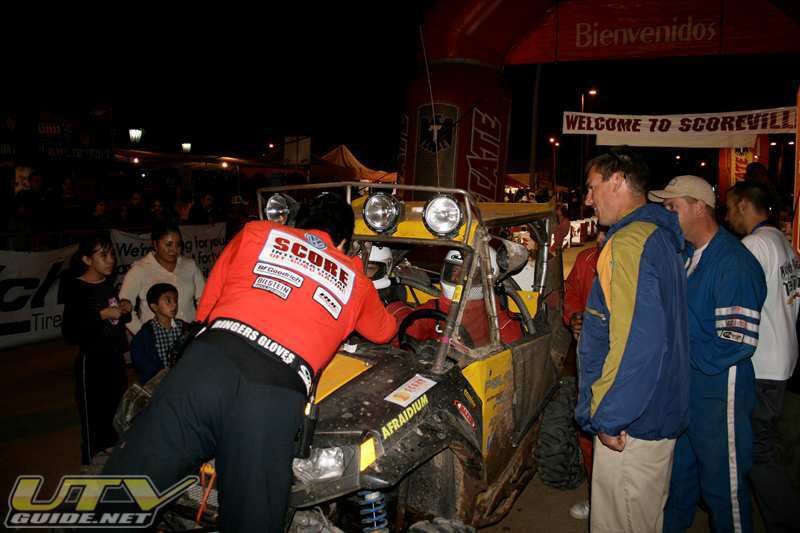 Additional associate sponsor for the 2008 Tecate SCORE Baja 1000 is the Fideicomiso Publio para la Promocion Turistica de Ensenada. 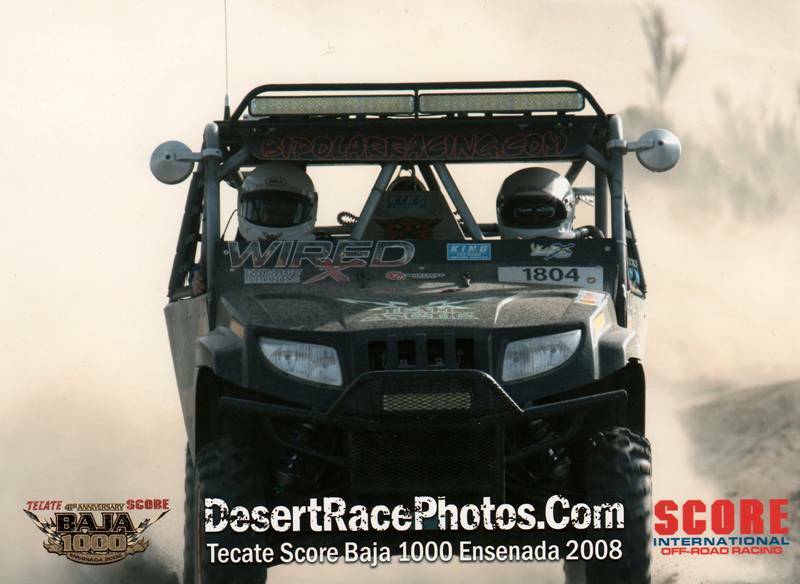 For more information on the Tecate SCORE Baja 1000, contact SCORE at its Los Angeles headquarters 818.225.8402 or visit the official website of the 2008 SCORE Desert Series atwww.score-international.com .